Lighting your yard is a great way to make your home or office look better while also increasing the amount of usable space you have to enjoy. 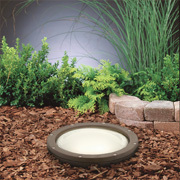 Whether you need outdoor light fixtures for a back patio and picnic area or you want to illuminate the path to your front door, our team at Hobrecht Lighting can help. We’ve been Sacramento’s lighting experts for decades, and our staff is here and ready to help you find the lighting solutions you want. 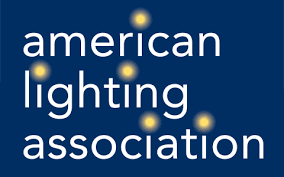 Our lighting specialists are always staying up-to-date on current trends in the lighting industry, and we’re always updating our inventory to match what’s hot and trendy in today’s current market. 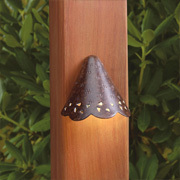 Find outdoor lanterns, sconces, well lights and accent lights that will work with your landscaping — no matter what your style preference is. Contact us for more information, or stop by our lighting store today to see our landscape lighting selection for yourself. 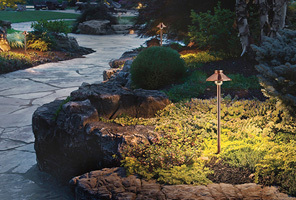 Landscape lighting has multiple purposes, ranging from illuminating your gorgeous Sacramento landscaping features to ensuring guests can safely navigate your front and back yards in the dark. 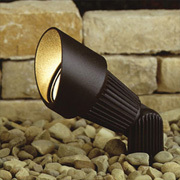 This type of lighting can be installed in your garden, as well as alongside sidewalks, pathways and/or steps. Regardless of your style preference, we know you’ll find something you love in our array of light fixtures at Hobrecht Lighting. 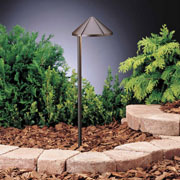 Keep in mind that landscape lighting is different from general outdoor lighting — you can find our outdoor lighting selection here. Reduced risk of trips and falls. Increased enjoyability of your front or back yard. If you’re unsure of what type of landscape lights you need to accomplish a certain look, or if you have no idea where to start, our team of lighting experts can help. 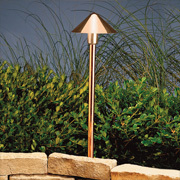 We know what type of lighting solutions work best for your lighting goals and needs, and we’ll ensure to connect you with cost-effective and beautiful landscape light fixtures. 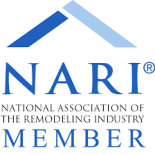 Contact us today to schedule a consultation. 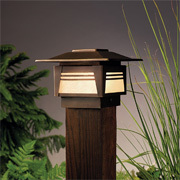 Refresh the appearance of your yard and get high-quality, beautiful landscape light fixtures today at Hobrecht Lighting. We’ve been connecting our customers with their optimal lighting solutions since 1909, and our goal is to offer you great, reliable lighting products at affordable price points. 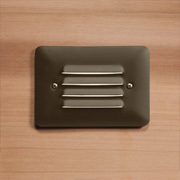 We offer light fixtures from some of the best brands and manufacturers in our Sacramento lighting showroom, including Tech Lighting, Progress, Quorum, Renaissance and more. Contact us today to schedule an appointment with one of our trained and experienced lighting experts, or simply visit our lighting store today.